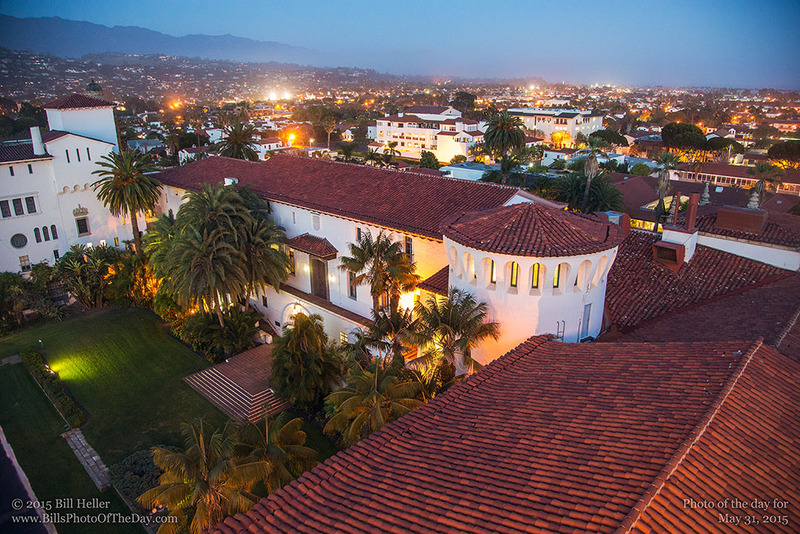 Evening view from the Santa Barbara County Courthouse Clock Tower where construction continues to make the tower more accessible. In the very near future everyone will be able to easily enjoy the view from the top. In the mean time, however, the trek to the top for this shot was even more of a walk than normal. With no elevator at all you start to appreciate really how tall the clock tower is. Currently the tower is still closed to the public, but the major elevator work is nearing an end with the opening at the top already complete.